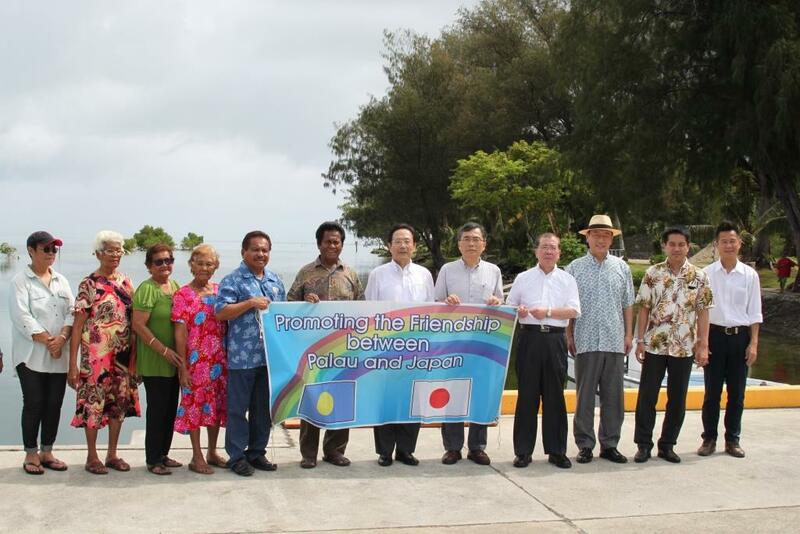 On Thursday, December 17, 2015, Japanese Ambassador Kazuhiro Tajiri handed over newly installed floating dock in a ceremony held at the North Dock in Peleliu State, for “The Project for Procurement of Floating Docks to Peleliu State”. The project amounting to $105,500 was funded through Japan’s Grant Assistance for Grassroots Human Security Projects (GGP). 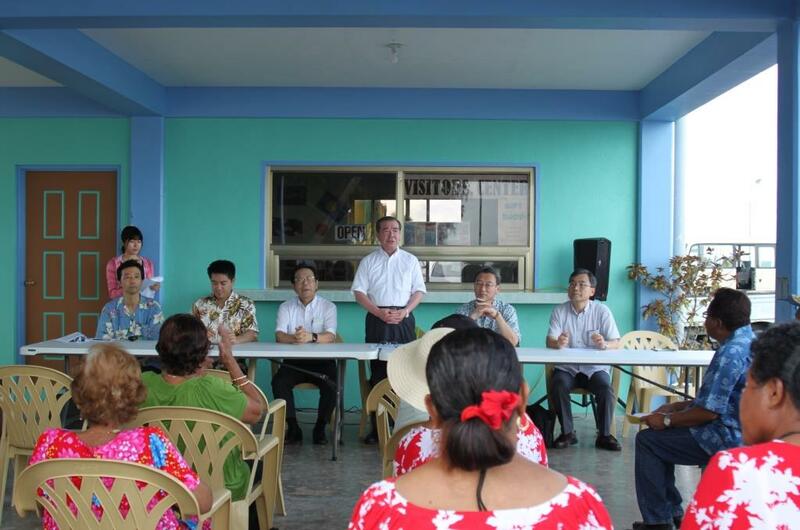 The ceremony was witnessed by Governor of Peleliu State Temmy Shmull, Mr. Surangel Whipps, Sr. and Peleliu residents. Furthermore, special guests from Japan, “Parliamentary Delegation of the House of Councillors to research Japan’s Official Development Assistance” was also present to commemorate the event. Through the project, new floating dock was installed at the dock of Peleliu, in order to solve the existing dock’s safety and capacity concerns by Peleliu residents. Ambassador Tajiri also expressed hope and anticipation that the floating dock will be in use for a long period of time, and that the project would lead to further development of friendship between Japan and Peleliu. 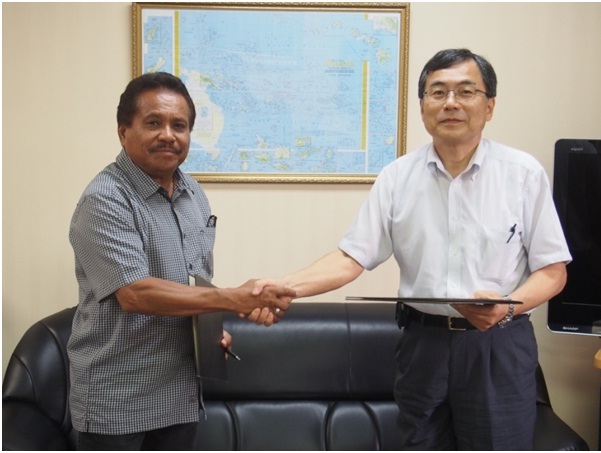 On Thursday, December 11, 2014, Ambassador of Japan Kazuhiro Tajiri and Governor of Peleliu State Temmy Shmull signed a grant contract to install two floating docks at Peleliu through Japan’s Grant Assistance for Grassroots Human Security Projects (GGP). The signing ceremony was held at the Embassy of Japan and was witnessed by Delegate of Peleliu Jonathan Isechal and members of Peleliu Maritime Transportation Authority. Through “The Project for Procurement of Floating Docks to Peleliu State” valued at $105,500, two floating docks will be installed, one each at the north and south dock of Peleliu. 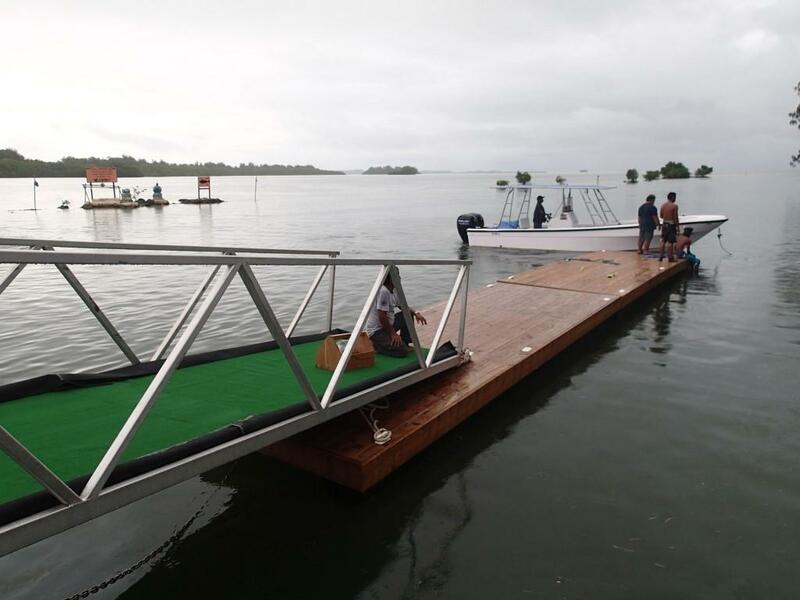 Peleliu State and its residents have been facing concerns on loading/unloading of passengers depending on the tide, as well as facing low capacity of the dock. However, having the floating docks installed, it is expected that passengers will have safer access to get on/off the boats, as well as dock capacity being increased. Furthermore, it is anticipated that the installation of the two floating docks would contribute to improve the access of Peleliu residents and its visitors to the two docks that connects the state with other states and beyond. 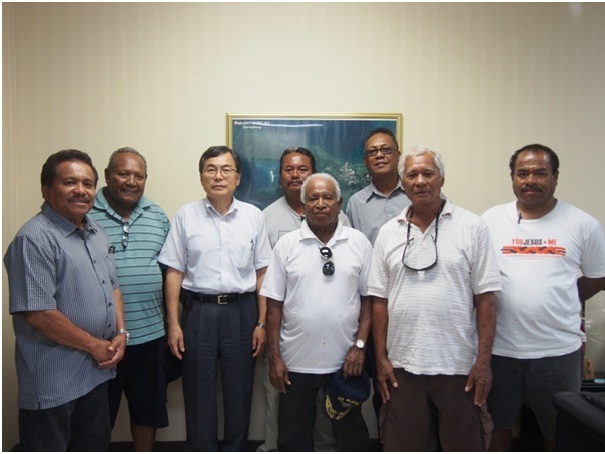 The Government of Japan launched GGP in 1999, for the purpose of responding to various development needs engaged in grassroots activities in Palau. As of December 11, 2014, the Embassy has signed 56 grant contracts with schools and hospitals as well as state governments and non-profit organizations. 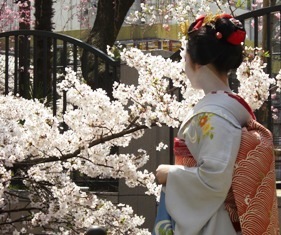 Education, health care and environment are the primary fields prioritized by Japan and its GGP. For further information about GGP, please contact 488-6455.